Since I have started at Helena Chemical this summer I have probably driven over five hundred miles every week. 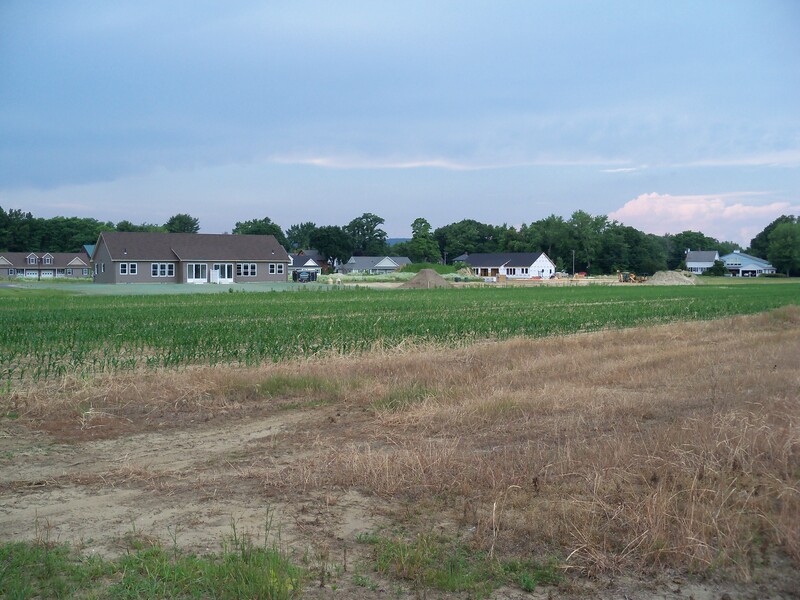 Although I love driving through the countryside of New England, I often times find myself in bumper-to-bumper traffic on Interstate 91. Anytime I drive on I-91 through the city of Springfield around quitting time, the traffic is bunched tighter together than the draft at a NASCAR race. Needless to say, I always cringe a little when I look at my load tickets and see that I am driving through such high-traffic areas. At least I can take solace in the fact that if traffic comes to a grinding halt I am getting paid by the hour. Due to the unusually warm spring, things have been slowing down lately. That means I spend less time on the road and more time at the office doing odds and ends for the salesman. 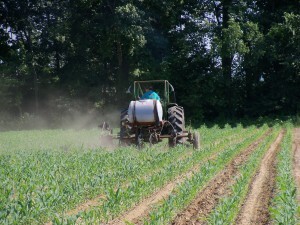 One day, that meant trading in the truck for a tractor and side dressing the company’s corn test plot. 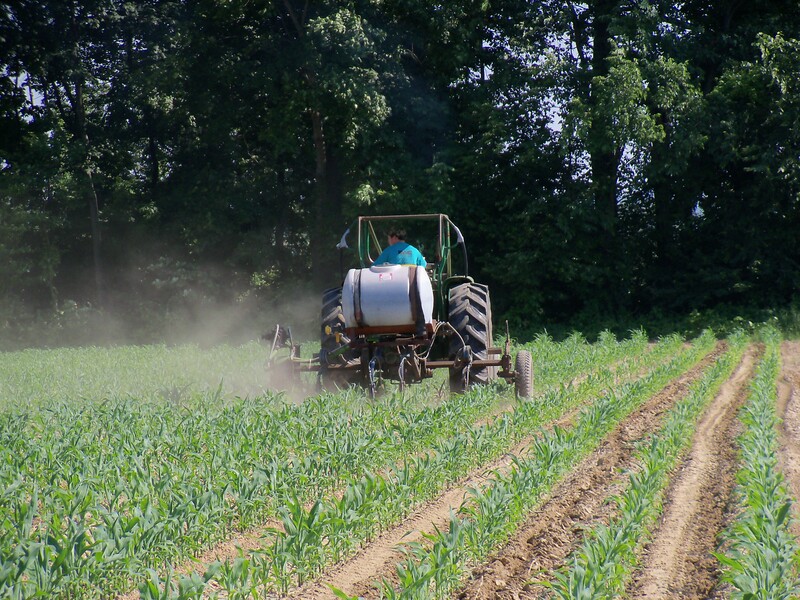 Besides herbicides, pesticides, and liquid fertilizers, Helena also sells a variety of different corn seeds. 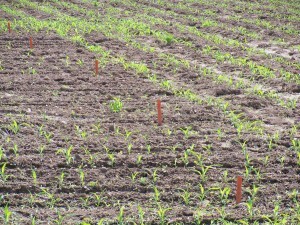 In half of the test plot, different varieties are planted to see which ones grow the best and provide the highest yields. 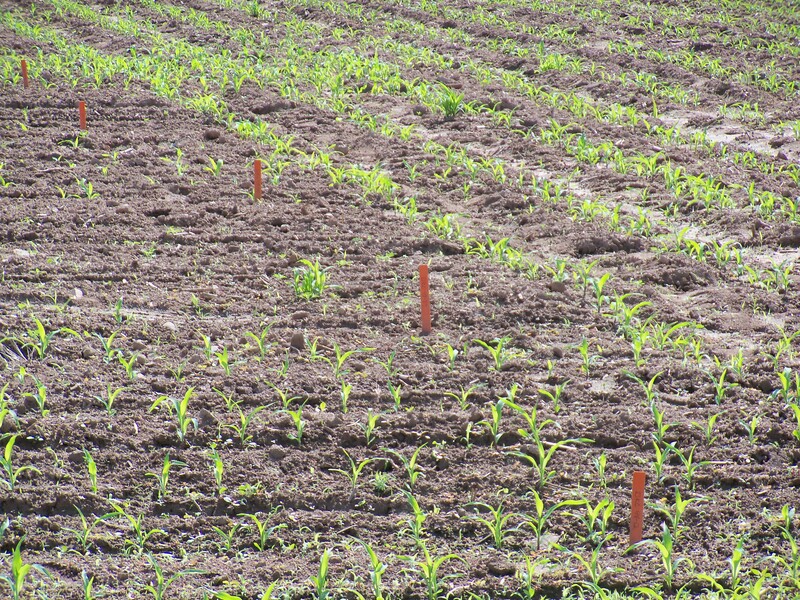 The other side tests different mixes of fertilizer in an effort to see the effects on yield. This kind of information allows Helena to better serve its clients by providing them with the best possible knowledge and products. 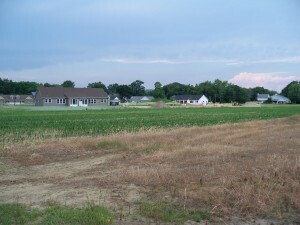 The test plot...and the eyesore of a housing development that borders it. 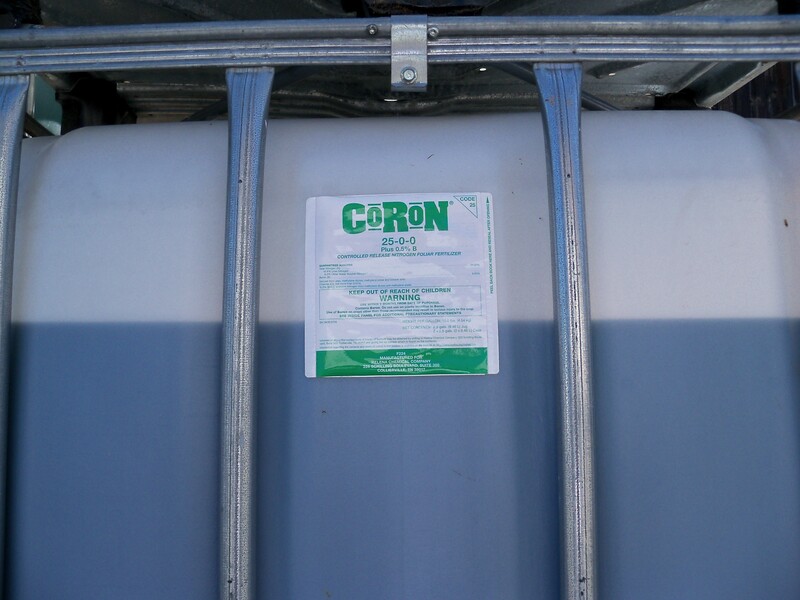 Helena sells CoRoN in either 2 by 2.5 gallon cases or in 250 gallon totes. 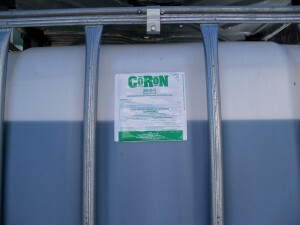 I had to unload an entire tanker of CoRoN into twenty totes one day. That turned out to be quite a cluster when the driver showed up with a leaky hose to unload the product with and no air to blow out the line, but that is a different story. Helena also has two trucks with 2,000 gallon tanks that can deliver pre-mixed sprays to a grower to fit their specific needs and applications. 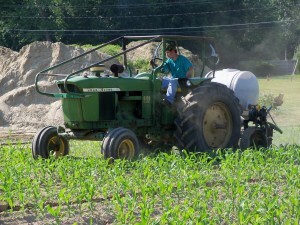 The truck pumps the mix into the customer’s sprayer or nurse truck. 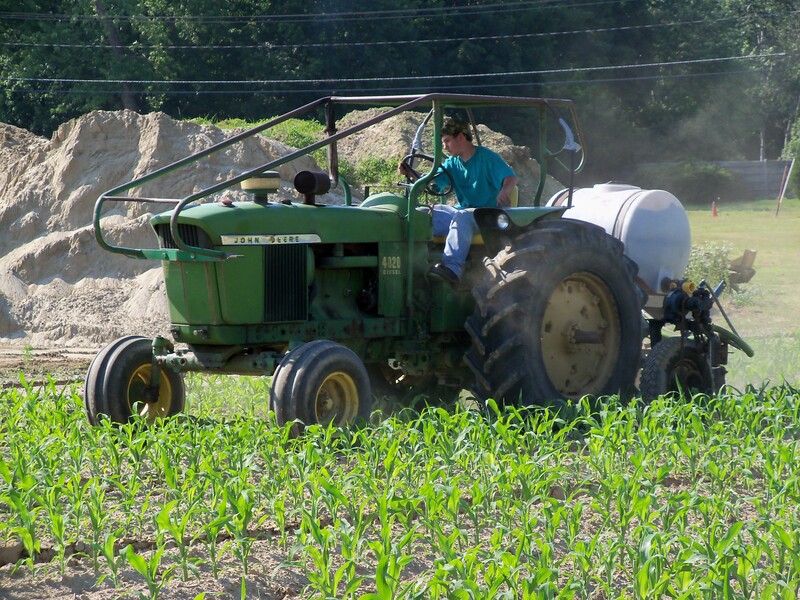 All the farmer has to do is sign off on the load ticket and then get to work spraying or side dressing. I wish I had that kind of support when I was side dressing, but I guess you have to put in your time and start somewhere.